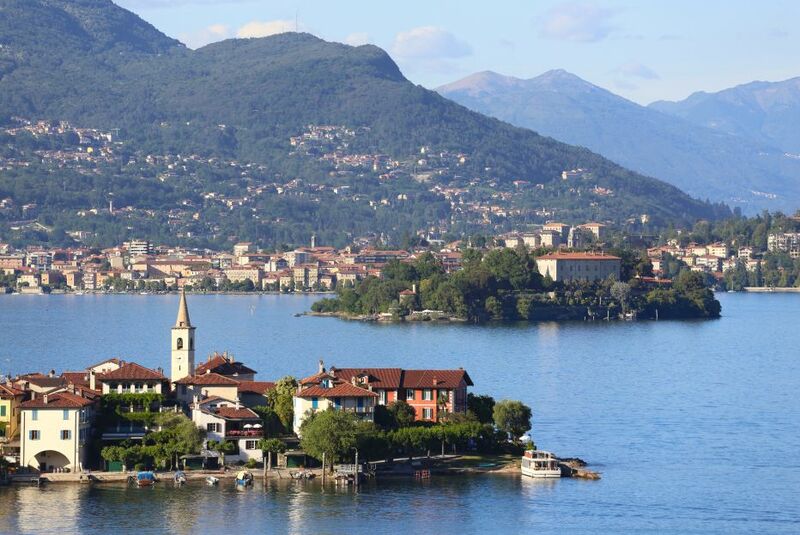 We arrive Milan and transfer to Tirano in the Italian Alps driving pass the estern side of Lake Como. Lunch today is organized at a local farmhouse before. 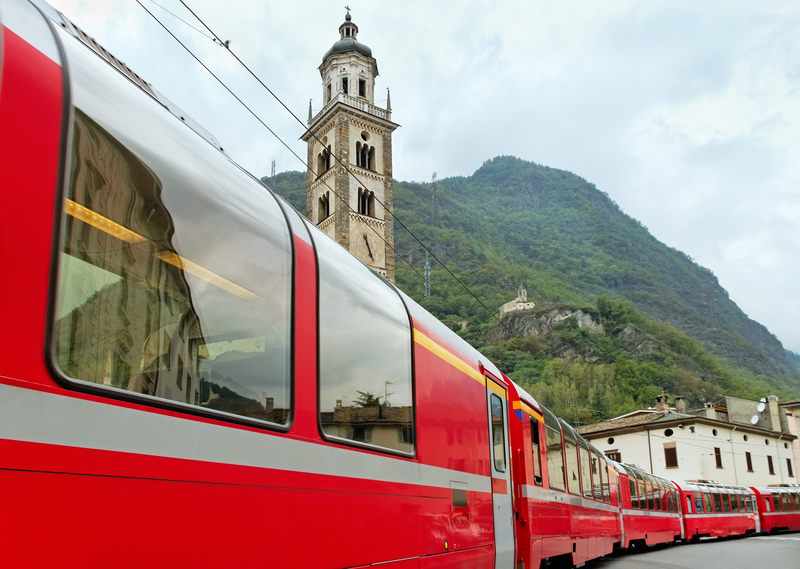 There will be time to explore Tirano in the early morning before we board the famous Trenino Rosso (Red Train). 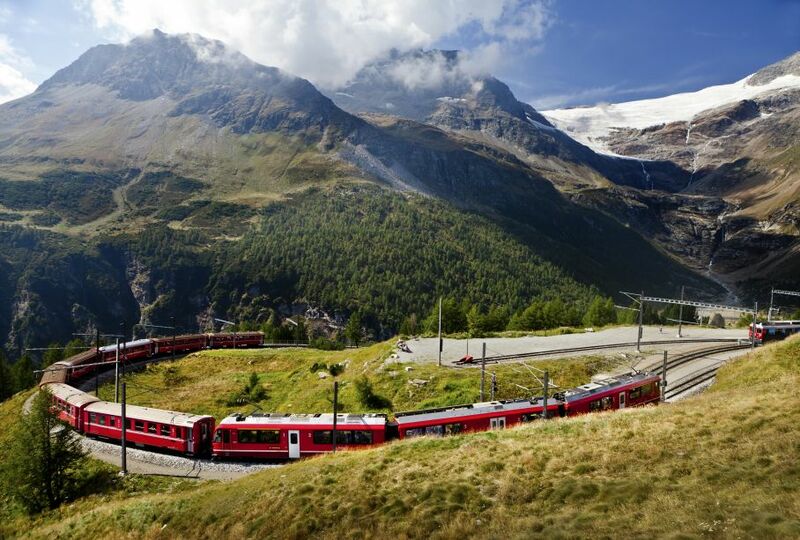 A day of incredible scenery as we board the magical Bernina Express, a narrow gauge mountain train that climbs through lakes and valleys to the summit of the Ospizio Bernina, the highest station on the Bernina Railway and also on the entire Rhaetian Railway network. 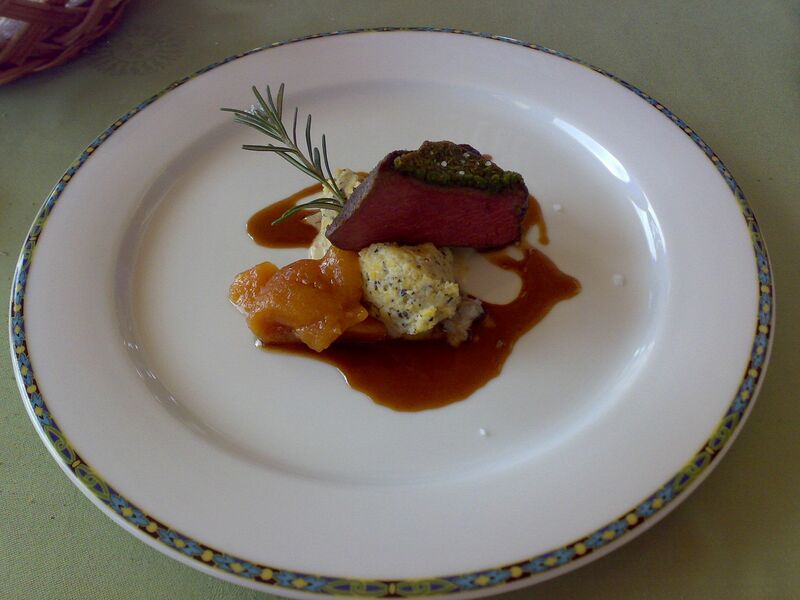 We will travel all the way to St Moritz where we will have a typical Swiss lunch at a historic hotel. 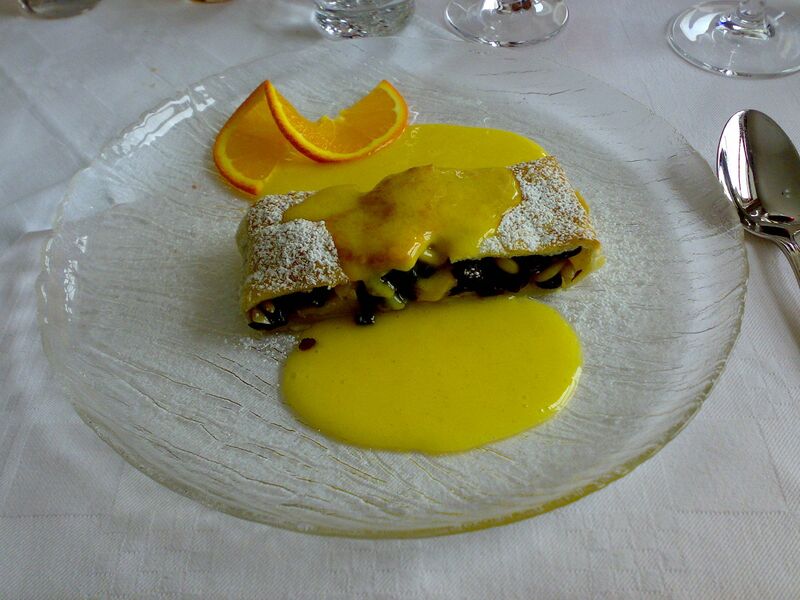 There will be some free time in the afternoon to discover the town before returning to Tirano by coach. This morning we enjoy a spectacular bus ride along the Valtellina Valley, surrounded by the imposing peaks of the Rhaetian Alps, several of which exceed 10,000 feet in height.We reach the charming town of Livigno where there will be free time for lunch and to explore as well as for shopping in this tax free heaven. We transfer to beautiful Chur in the early afternoo and have a brief guided tour of one of the historic cities of Switzerland before accommodatin at our hotel. Dinner and overnight. Breakfast. Day dedicated to the famous Glacier Express, the slowest express train in the world that in about 7 hours and 30 connects Davos with Zermatt passing through 291 bridges and 91 galleries.Our program includes the ride on the Glacier Express through one of the most attractive sections, from Chur to Brig through the Rhine Gorge (the grand canyon of Switzerland) and then to Brig through the Oberalp Pass. 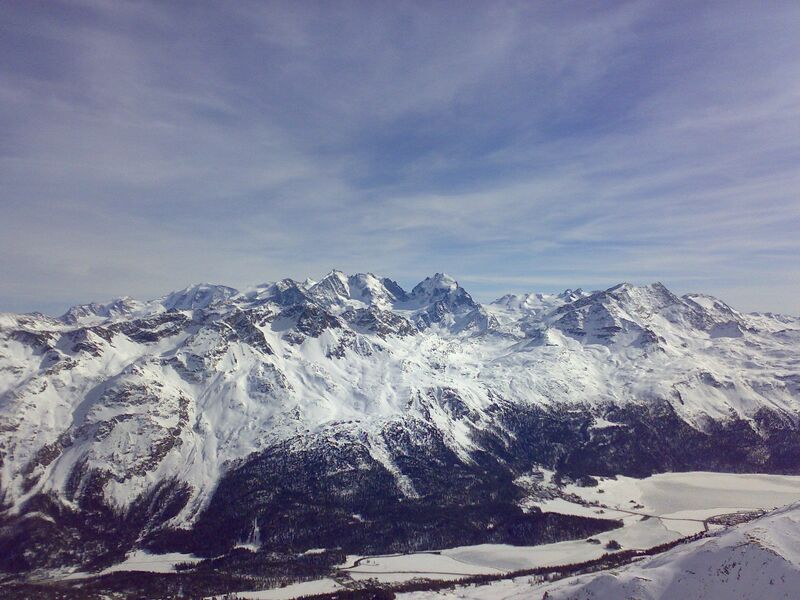 While on the train you can enjoy unspoiled landscapes, historic towns, extraordinary railway engineering works, all set in a stunning alpine setting.Lunch on the Glacier Express with the dish of the day. 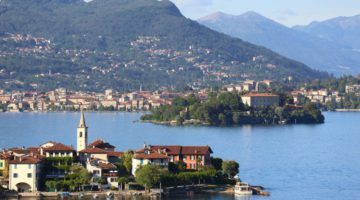 We arrive in Brig at 15h40 continue by bus to Lake Maggiore, through the Simplon Pass.Check in beautiful Stresa, situated opposite the Borromean Islands and accommodation at our hotel on the lake front. Dinner and overnight. Breakfast in the hotel restaurant. 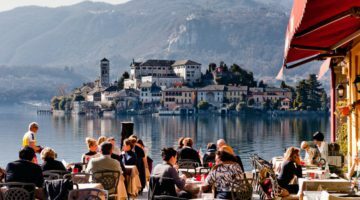 Meet your guide and departure by private boat to discover the Borromean Islands. 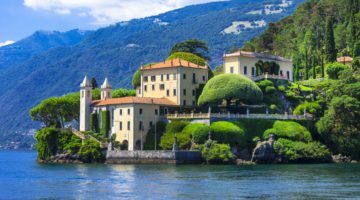 The famous Isola Bella, with the sumptuous Palazzo Borromeo and Isola dei Pescatori. 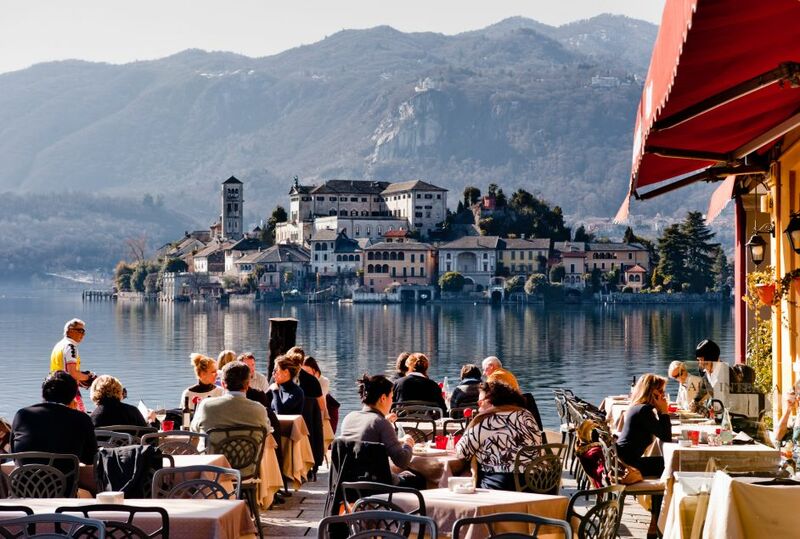 Isola Bella is a surprising place due to the fantastic vegetation and priceless works of art of the Palace. A day that allows you to immerse yourself in a bygone era where the Baroque style blends virtuously with the green architecture of the garden, creating a combination that is unmatched.Continue to the small Isola dei Pescatori, the only Borromean Island inhabited during all months of the year, it has a small village with a small square surrounded by narrow and winding streets that lead to the promenade on the northern tip of the island.